Young Children Wearing Aprons Are Playing With A Water Table Together In Nursery. Royalty Free Fotografie A Reklamní Fotografie. Image 60481848. 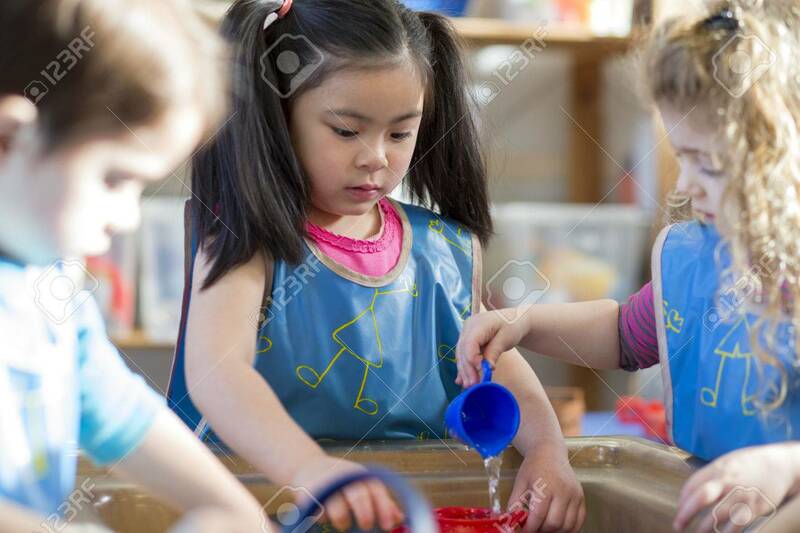 Reklamní fotografie - Young children wearing aprons are playing with a water table together in nursery. Young children wearing aprons are playing with a water table together in nursery.